Hello and Happy Hump Day! 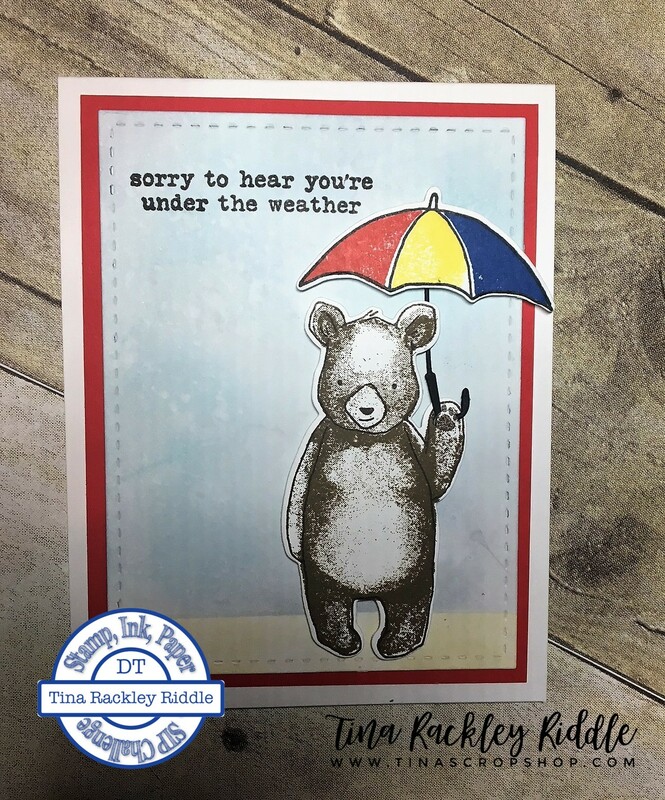 I'm over with my friends at the Paper Craft Crew with my take on a new sketch and using some new My Monthly Hero Kit Stamps and Dies! My friends know how excited I was when I received my Hero Arts August kit because this is all about coffee and I LOVE all things coffee! 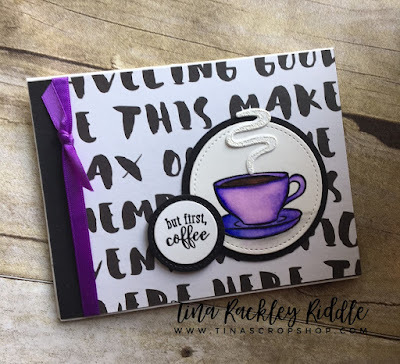 There are sooooo many coffee images in this cool set and just as many super cool sentiments! 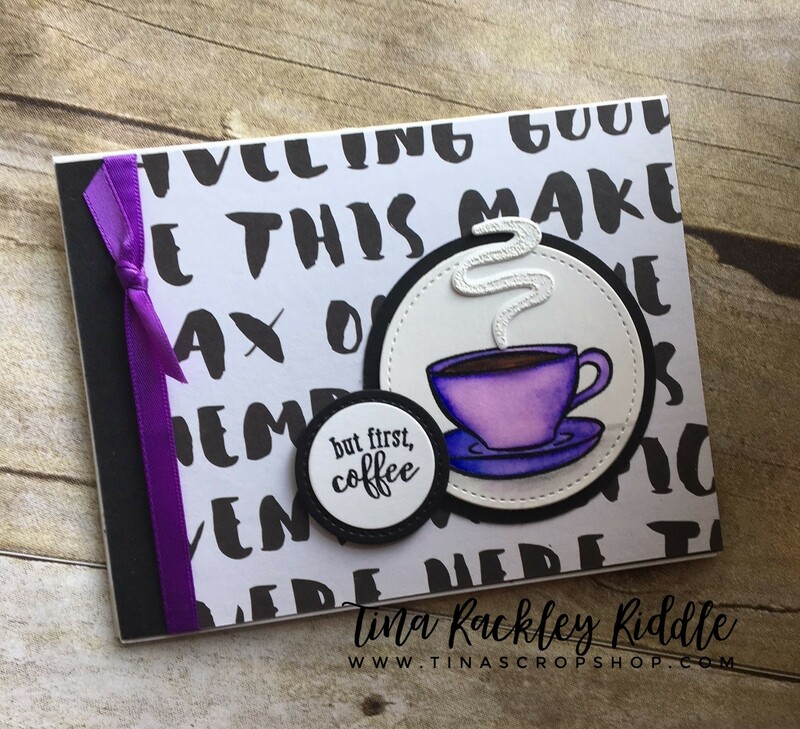 I stamped my coffee image in Versafile Black Ink onto Bristol Smooth Cardstock and then clear embossed it. I used Zig Clean Color Markers to color it! I love how the zig clean color blends on Bristol Smooth... so beautiful for an amateur watercolorer like me! SIP Challenge #165 Something For Baby with Concord & 9th August Release! Hi Friends! Happy Tuesday! I hope your week is off to an awesome start! 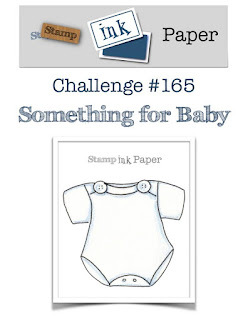 This week over at Stamp, Ink, Paper we have a Something for Baby Challenge! What can be happier than welcoming a new baby in the world? I decided to use the So Happy For You Bundle for my floral hoop and flowers! 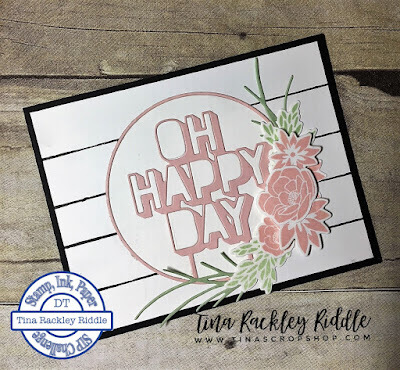 The Oh Happy Day die cut is from the Top It Off Bundle and the background was stamped with the Shiplap Sentiments Stamp Set! 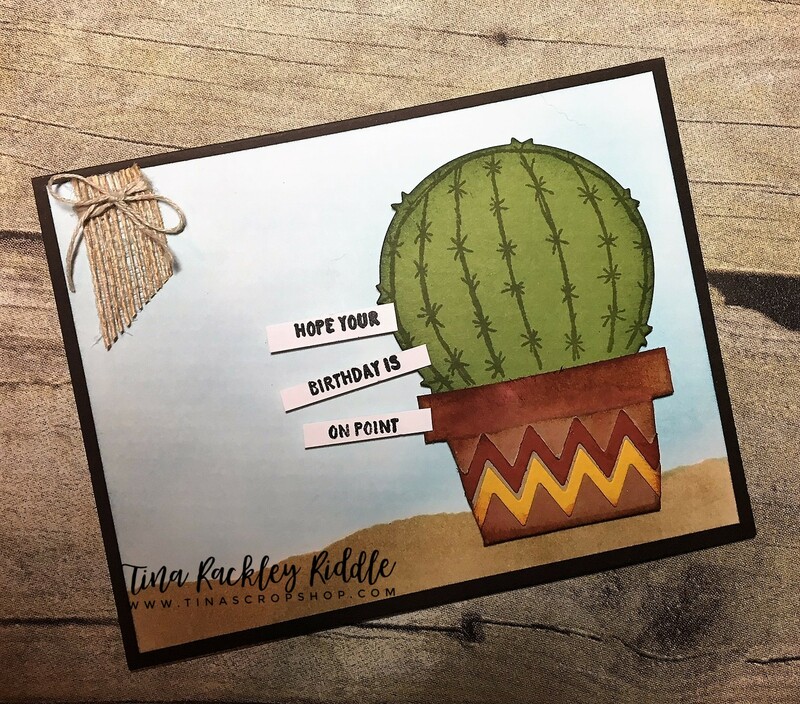 What a bunch of awesome new products! I LOVE the Shiplap! Of course I'm all about Fixer Upper, Chippy Paint, Shiplap and Farmhouse Decor! The flowers, leaves, and sprigs from the So Happy For You Bundle as just beautiful! I feel sure I'll use that bundle a lot as well! Hello friends! 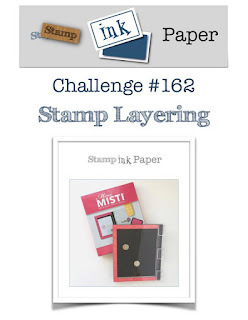 Oh my goodness I LOVE this week's Stamp, Ink, Paper Challenge! 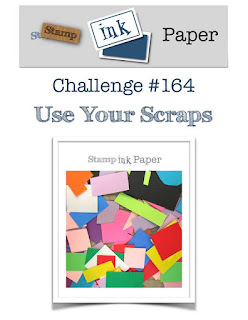 Who doesn't have scraps that they have saved and need to use! I have soooo many Patterned Paper Scraps so I decided to go with a Starburst/Sunburst Card! Such a fun and super easy technique. I started with a Whisper White panel that measured 4" x 5 1/4" that I planned on using on a top folding card. I scored 2 inches up from the bottom for my starting point. I took some scraps from my Winter in the Woods Stack (this has been one of my favorite paper stacks). 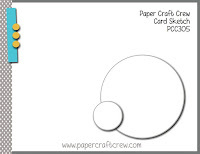 My scraps were from a 6" paper stack so I cut them at 1 1/2" and then cut them diagonally on my paper trimmer. I started them with the tips touching the scored line at 2" and used Tombow Multipurpose Adhesive to adhere them. After I had everything glued on I turned the panel over and used my paper snips to cut off the over hang. I ran another scrap of the coordinating patterned paper on the bottom and then ran a piece of black ribbon across the seam. 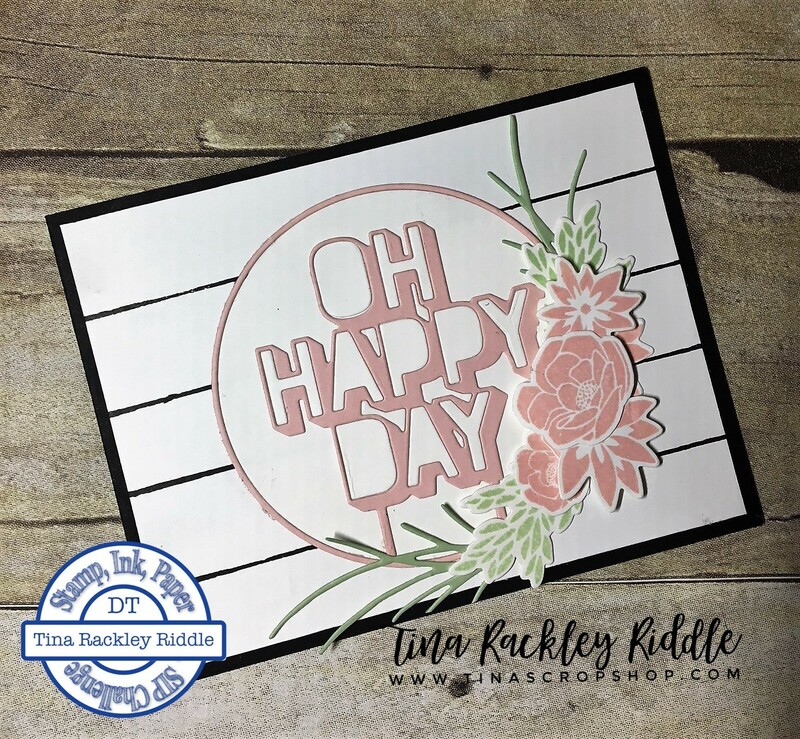 The sentiment "Merry & Bright" was another scrap that was cut with a stitched circle die and popped up with dimensionals over the ribbon. I used a scrap of black and gold twine to tie a bow around the black ribbon on the left side. This was seriously one of the most full of scraps cards I have ever made! 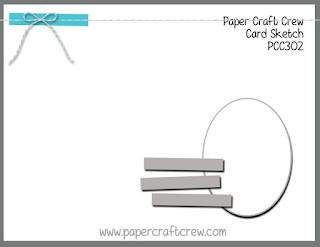 If you've never tried this type of card it is absolutely a lot of fun and a great way to use up scraps!